We all need to clear our heads, sometimes literally — and now scientists have learned how our neurological plumbing system works. “If you look at a body-wide map of the lymphatic system, you see a great big void in the brain,” said neuroscientist Jeffrey Iliff of the University of Rochester Medical Center. He and his colleagues found that puzzling, given how active the brain is and how sensitive it is to waste buildup. Scientists long suspected that the brain’s refuse ended up in the cerebrospinal fluid, which cushions the brain inside the skull. In the 1980s, some researchers proposed that the fluid might be pumped into the brain to wash it, then pumped out again. Other researchers weren’t convinced. Thanks to new imaging techniques that made it possible to peer inside the brain of a living mouse, Iliff’s team saw the process in action. Cerebrospinal fluid flowed along the outside of blood vessels, carried through a network of pipe-like protein structures. The fluid picked up waste that accumulated between cells, then drained out through major veins. “These experiments validate a powerful ‘prevailing current’ of cerebrospinal fluid in brain extracellular space that effectively clears metabolic garbage,” said neurologist Bruce Ransom of the University of Washington, who was not affiliated with the study. A woman born missing a finger and a thumb has grown them back – albeit as part of a phantom limb. This extraordinary occurrence shows that our brain contains a fully functional map of our body image, regardless of what our limbs actually look like. The woman, RN, was born with just three fingers on her right hand. Aged 18, RN had the hand amputated after a car accident. She later began to feel that her missing limb was still present, and developed a “phantom” hand. RN was aware of a full complement of fingers, but her phantom thumb and index finger were less than half the usual length. With training using a mirror box trick – a tool that creates the visual illusion of two hands – McGeoch and V.S Ramachandran, also at San Diego, managed to extend her short phantom finger and thumb to normal length. McGeoch says this study indicates that there is a hardwired representation in the brain of what the body should look like, regardless of how it actually appears in real life. It shows us more about the balance between the external and innate representations of a limb, he says. A University of Florida scientist has created a living “brain” of cultured rat cells that now controls an F-22 fighter jet flight simulator. Scientists say the research could lead to tiny, brain-controlled prosthetic devices and unmanned airplanes flown by living computers. And if scientists can decipher the ground rules of how such neural networks function, the research also may result in novel computing systems that could tackle dangerous search-and-rescue jobs and perform bomb damage assessment without endangering humans. Additionally, the interaction of the cells within the lab-assembled brain also may allow scientists to better understand how the human brain works. The data may one day enable researchers to determine causes and possible non-invasive cures for neural disorders, such as epilepsy. By decoding brain activity, scientists were able to “see” that two monkeys were planning to approach the same reaching task differently—even before they moved a muscle. Anyone who has looked at the jagged recording of the electrical activity of a single neuron in the brain must have wondered how any useful information could be extracted from such a frazzled signal. But over the past 30 years, researchers have discovered that clear information can be obtained by decoding the activity of large populations of neurons. Now, scientists at Washington University in St. Louis, who were decoding brain activity while monkeys reached around an obstacle to touch a target, have come up with two remarkable results. Their first result was one they had designed their experiment to achieve: they demonstrated that multiple parameters can be embedded in the firing rate of a single neuron and that certain types of parameters are encoded only if they are needed to solve the task at hand. Their second result, however, was a complete surprise. They discovered that the population vectors could reveal different planning strategies, allowing the scientists, in effect, to read the monkeys’ minds. By chance, the two monkeys chosen for the study had completely different cognitive styles. One, the scientists said, was a hyperactive type, who kept jumping the gun, and the other was a smooth operator, who waited for the entire setup to be revealed before planning his next move. The difference is clearly visible in their decoded brain activity. 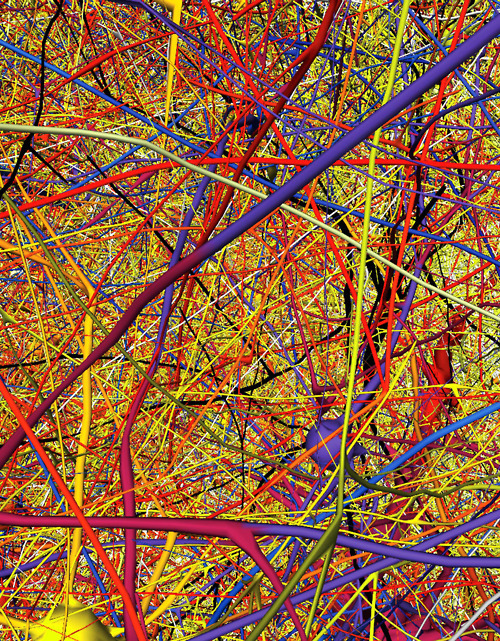 First map of the human brain reveals a simple, grid-like structure between neurons. How these connections actually work to construct who we are is a different, far more fascinating matter. These words are emblazoned on the website Creativitycap.com, and they represent the vision of neuroscientist Allan Snyder. Snyder believes we all possess untapped powers of cognition, normally seen only in rare individuals called savants, and accessing them might take just a few jolts of electricity to the brain. It sounds like a Michael Crichton plot, but Snyder, of the University of Sydney, Australia, says he wouldn’t be surprised to see a prototype of the creativity cap within a couple of years. His research suggests that brain stimulation improves people’s ability to solve difficult problems. But Snyder’s interpretation of his findings remains controversial, and the science of using brain stimulation to boost thinking is still in its early stages. “I think it’s a bit of a minefield,” said psychologist Robyn Young of Flinders University in Australia, who has tried to replicate Snyder’s early experiments. “I’m not really sure whether the technology is developed that can turn it into a more accurate science.” Snyder has long been fascinated by savants — people with a developmental brain disorder (often autism) or brain injury who display prowess in a particular area, such as mathematics, art or music, which far exceeds the norm. Kim Peek, who provided the inspiration for Dustin Hoffman’s character in the movie “Rain Man,” was a savant who could memorize entire books after a single reading, or instantly calculate what day of the week any calendar date fell on. But he had a severe mental disability that prevented him from performing simple actions such as buttoning his shirt. Wisconsin psychiatrist and savant expert Darold Treffert describes a skill like Kim’s as an “island of genius that stands in stark contrast to the overall handicap.” Other savants acquire their abilities after a severe brain injury or illness. Alonzo Clemons suffered a head injury as a toddler that left him mentally disabled, but endowed him with the ability to accurately sculpt beautiful clay animals after only briefly glimpsing them. And patients with frontotemporal dementia have been known to suddenly display artistic and musical abilities, like the successful businessman who developed dementia and started doing award-winning painting. But not all savant abilities come with a trade-off, says Treffert. Sometimes it’s possible for otherwise normal people to have savant skills. Snyder hypothesizes that all people possess savant-like abilities in a dormant form, but that savants have “privileged access” to less-processed, lower-level information. In a normal brain, top-down controls suppress the barrage of raw data our brains take in, enabling us to focus on the big picture. 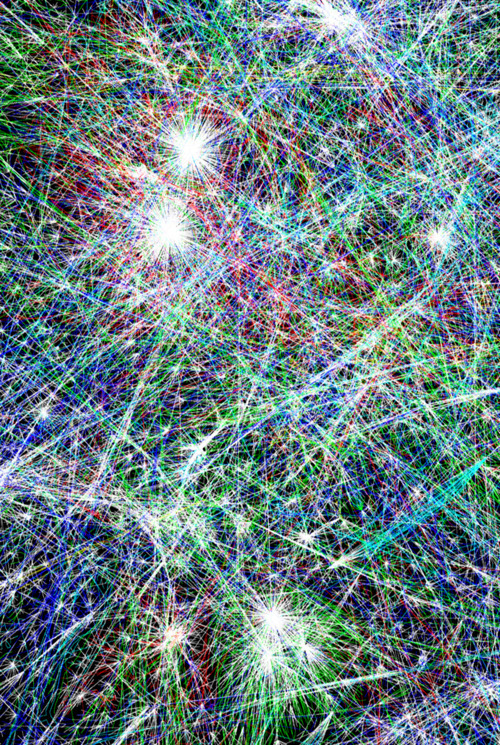 This might look like a distant web of galaxies captured by a powerful telescope, but it’s actually a microscopic image of a newborn nerve cell. The human brain contains more cells than there are stars in our galaxy, and the most important cells are neurons, which are nerve cells responsible for transmitting and processing electro-chemical signals at up to 320 km/h. This chemical signalling occurs through synapses—specialised connections with other cells, like wires in a computer. Each cell can receive input from thousands of others, so a typical neuron can have up to ten thousand synapses—i.e., can communicate with up to ten thousand other neurons, muscle cells, and glands. Estimates suggest that adult humans have approximately 100 billion neurons in their brain, but unlike most cells, neurons don’t undergo cell division, so if they’re damaged they don’t grow back—except, apparently, in the hippocampus (associated with memory) and the olfactory bulb (associated with sense of smell). The process by which this occurs is unclear, and this image was taken during a project to determine how neurons are born—it actually depicts newborn nerve cells in an adult mouse’s brain. In a landmark 2010 study, researchers found that bumblebees were able to figure out the most efficient routes among several computer-controlled “flowers,” quickly solving a complex problem that even stumps supercomputers. We already know bees are pretty good at facial recognition, and researchers have shown they can also be effective air-quality monitors. Bumblebees can solve the classic “traveling salesman” problem, which keeps supercomputers busy for days. They learn to fly the shortest possible route between flowers even if they find the flowers in a different order, according to the British study. The traveling salesman problem is a problem in computer science; it involves finding the shortest possible route between cities, visiting each city only once. Bees are the first animals to figure this out, according to Queen Mary University of London researchers. Bees need lots of energy to fly, so they seek the most efficient route among networks of hundreds of flowers using angles of sunlight, which helps them find their way home, researchers say. To do this, their tiny brains must pack a powerful memory.To test bee problem-solving, researchers Lars Chittka and Mathieu Lihoreau tested bees’ response to computer-controlled artificial flowers. They wanted to see whether the bees would go after the flowers in the order in which they were discovered, or if they would figure out the shortest route among all the flowers even as new ones were added. The bees explored the locations of the flowers and quickly figured out the shortest paths among them, according to a Queen Mary news release.This is no small feat, especially considering the tiny size of bee brains. When it comes to certain types of intelligence, size apparently does not matter. Earlier this year, researchers showed that bees recognize individual faces because they can make out the relative patterns that make up a face. The new research further suggests bees are highly sophisticated problem solvers, and that better understanding of their brains could improve our understanding of network problems like traffic flows, supply chains and epidemiology. Biological systems depend on membrane receptors to communicate, while technology relies on electric fields and currents to transmit data—but scientists at the Lawrence Livermore National Laboratory have created a transistor modelled on living cells that it might allow electronic devices to be hooked directly to the nervous system. The transistor consists of two metal electrodes connected by a carbon nanotube, which acts as a semiconductor. The nanotube is layered with both an insulating polymer and a lipid bi-layer that mimics the structure around cell membranes, and the transistor is then powered by adenosine triphosphate (ATP)—the energy currency of living cells. When exposed to ATP, a protein in the lipid bi-layer acts as an ion pump, shuttling sodium and potassium ions across the membrane—so when both a voltage and an ATP solution (including the ions) are applied to the device, a current flows through the electrodes. The transistor is the first example of an integrated bioelectric system; a hybrid, half-man half-machine. The technology could be used to construct seamless bioelectronic interfaces, and even help human consciousness merge with technology—imagine being mentally linked to your laptop! Where is the experience of red in your brain? The question was put to me by Deepak Chopra at his Sages and Scientists Symposium in Carlsbad, Calif., on March 3. A posse of presenters argued that the lack of a complete theory by neuroscientists regarding how neural activity translates into conscious experiences (such as redness) means that a physicalist approach is inadequate or wrong. The idea that subjective experience is a result of electrochemical activity remains a hypothesis, Chopra elaborated in an e-mail. It is as much of a speculation as the idea that consciousness is fundamental and that it causes brain activity and creates the properties and objects of the material world. Where is Aunt Millie’s mind when her brain dies of Alzheimer’s? I countered to Chopra. Aunt Millie was an impermanent pattern of behavior of the universe and returned to the potential she emerged from, Chopra rejoined. In the philosophic framework of Eastern traditions, ego identity is an illusion and the goal of enlightenment is to transcend to a more universal nonlocal, nonmaterial identity. The hypothesis that the brain creates consciousness, however, has vastly more evidence for it than the hypothesis that consciousness creates the brain. Damage to the fusiform gyrus of the temporal lobe, for example, causes face blindness, and stimulation of this same area causes people to see faces spontaneously. Stroke-caused damage to the visual cortex region called V1 leads to loss of conscious visual perception. Changes in conscious experience can be directly measured by functional MRI, electroencephalography and single-neuron recordings. Neuroscientists can predict human choices from brain-scanning activity before the subject is even consciously aware of the decisions made. Using brain scans alone, neuroscientists have even been able to reconstruct, on a computer screen, what someone is seeing. It is an area of science that has the power to control the human mind with the flick of a light switch. Scientists have developed a way of using pulses of light to turn the brain cells that control our everyday actions and thoughts on or off at will. It provides a way of controlling the brain that has never been possible before. The researchers have already conducted tests in monkeys, our closest relatives, using light to send them to sleep. They now hope to develop the techniques further for use in humans. The technology promises to provide revolutionary new treatments for diseases that are notoriously difficult to control such as epilepsy, Alzheimer’s Disease and psychiatric illnesses. It could even help people make new memories. But like many scientific advances, it is likely to divide the public, scientists and the medical community as it combines three already controversial technologies. First, cells in the brain itself must be genetically altered so they react to light. Such genetic modification of human cells is still an emerging science and the long term effects are still largely unknown. An implant must also be placed directly into the brain, requiring an operation, so that it can deliver light to the brain cells using tiny optical fibres similar to those that carry broadband signals around the UK. Drawing on the growing scientific knowledge of how our brains work, this opens up the ability to control behaviour – something that will alarm the more paranoid free rights campaigners. Yet despite the obvious ethical dilemmas such research will throw up, the benefits could be profound. “As a therapy, this could help tackle diseases which are difficult or unlikely to be treated by other means,” said Dr Edward Boyden, a biological engineer at the Massachusetts Institute of Technology, who is at the forefront of research in this area, known as optogenetics. His group have built a prototype implant that can shine light onto specific areas of the brain and even single cells in an attempt to develop new therapies for neurological diseases. Top: The connections between computers in a map of the internet. Bottom: The connections between neurons in a map of the brain. Researchers at Lund University in Sweden have discovered a new stem cell in the adult brain. These cells can proliferate and form several different cell types—most importantly, they can form new brain cells. 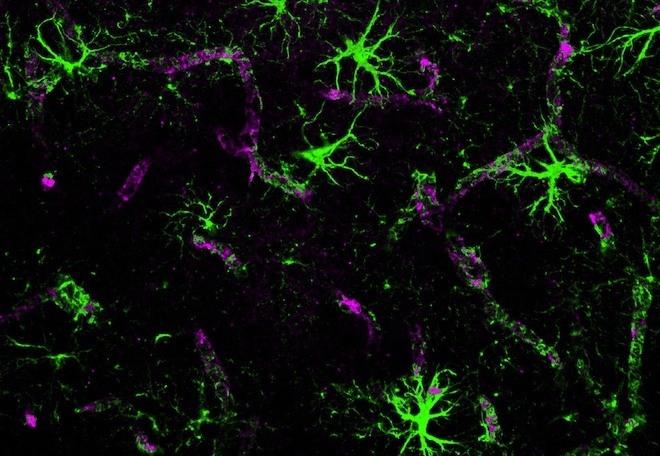 Scientists hope to take advantage of the finding to develop methods to heal and repair disease and injury in the brain. Analyzing brain tissue from biopsies, the researchers for the first time found stem cells located around small blood vessels in the brain. The cell’s specific function is still unclear, but its plastic properties suggest great potential. “A similar cell type has been identified in several other organs where it can promote regeneration of muscle, bone, cartilage and adipose tissue,” said Patrik Brundin, M.D., Ph.D., Jay Van Andel Endowed Chair in Parkinson’s Research at Van Andel Research Institute (VARI), Head of the Neuronal Survival Unit at Lund University and senior author of the study. In other organs, researchers have shown clear evidence that these types of cells contribute to repair and wound healing. Scientists suggest that the curative properties may also apply to the brain. The next step is to try to control and enhance stem cell self-healing properties with the aim of carrying out targeted therapies to a specific area of the brain. The study, published in the journal PLoS ONE, is of interest to a broad spectrum of brain research. Future possible therapeutic targets range from neurodegenerative diseases to stroke. New research using brains scans shows that many elderly people have over time either learned to not stew over things they regret or to not regret them at all. Those that don’t learn such skills tend to become depressed, say researchers from University Medical Center in Germany, who have been conducting research into regret and aging using brain scans. The team, led by Stefanie Brassen has published the results of their efforts in the journal Science. In their report, the team finds that young people and depressed older adults tend to rue decisions they’ve made and to fixate on them. In contrast, mentally healthy older adults tend to call it all water under the bridge and move on. To find out such things, the team recruited sixty volunteers, 20 healthy young people, 20 mentally healthy elderly people and 20 elderly people who suffer from depression, to help them carry out an experiment. They asked each volunteer to play a video game of chance that involved several covered containers. Under each was either a gold ingot or a demon that would steal all the money they’d earned thus far. As each container was opened, the player got to keep the gold if it was underneath. As play progressed the odds of finding a demon increased, upping the anxiety. Also, to see what was going on in the brain, players played the game while being scanned inside of an MRI machine. The researchers looked specifically at the brain region known as the ventral striatum, which is known to respond to rewards. In analyzing the players, the researchers found that young people and older depressed adults tended to show more activity than did the brains of older more complacent older people. By watching carefully, they could also measure the impact on players when they felt they opted out too early, or when they kept on playing but eventually lost all they’d won to the demon. This time, the younger players and those that were older but depressed showed less activity in the ventral striatum, indicating sadness or depression, meaning they were upset about how things had come out. The older, healthier players on the other hand showed little to no change, indicating they weren’t nearly as worried or upset about how things had played out. The team also found by looking at the anterior cingulate cortex, that older healthy adults did actually feel some remorse at some points in the game, but suppressed it. Awakening from anesthesia is often associated with an initial phase of delirious struggle before the full restoration of awareness and orientation to one’s surroundings. Scientists now know why this may occur: primitive consciousness emerges first. Using brain imaging techniques in healthy volunteers, a team of scientists led by Adjunct Professor Harry Scheinin, M.D. from the University of Turku, Turku, Finland in collaboration with investigators from the University of California, Irvine, USA, have now imaged the process of returning consciousness after general anesthesia. The emergence of consciousness was found to be associated with activations of deep, primitive brain structures rather than the evolutionary younger neocortex. These results may represent an important step forward in the scientific explanation of human consciousness. The study was part of the Research Programme on Neuroscience by the Academy of Finland. “We expected to see the outer bits of brain, the cerebral cortex (often thought to be the seat of higher human consciousness), would turn back on when consciousness was restored following anesthesia. Surprisingly, that is not what the images showed us. In fact, the central core structures of the more primitive brain structures including the thalamus and parts of the limbic system appeared to become functional first, suggesting that a foundational primitive conscious state must be restored before higher order conscious activity can occur” Scheinin said. Cognitive scientists hope to bottle up a baby’s brain — and the imagination and air of possibility that comes with it — and use the result to make computers smarter. “Children are the greatest learning machines in the universe,” Alison Gopnik, a developmental psychologist at the University of California at Berkeley, said in a statement. “Imagine if computers could learn as much and as quickly as they do,” said Gopnik, author of the books “The Scientist in the Crib” (William Morrow, 2000) and “The Philosophical Baby” (Picador, 2010). Scientists such as Gopnik have known a healthy newborn brain contains a lifetime’s supply of some 100 billion neurons; as a baby matures, these brain cells grow a vast network of synapses or connections (about 15,000 by the age of 2 or 3), which allow tots to learn languages and social skills, all the while figuring out how to survive and thrive in their environment. Adults, meanwhile, tend to focus more on the goal at hand rather than letting their powers of imagination run wild. It’s this combination — goal-minded adults and open-minded children — that may be ideal for teaching computers new tricks, the researchers suspect. It turns out that one of the ways you can speed up a microprocessor — shoving more current into it — also works on the human brain. The technique is called transcranial direct current stimulation, and while bioethicists are debating whether or not it’s ethical to use it to enhance learning in children, hobbyists have figured out how to try it out at home. Think of it as the new Adderall — without, apparently, the side effects. Now, the first thing I have to say in this post about how to overclock your brain with a straightforward 20-minute application of electrical current is DO NOT TRY THIS AT HOME. The long-term effects of TDCS are unknown, and if you mess up and put orders of magnitude more current through your brain than is typically used in TDCS, obviously, you could kill yourself. Now that we have that out of the way, here’s how to try it at home. 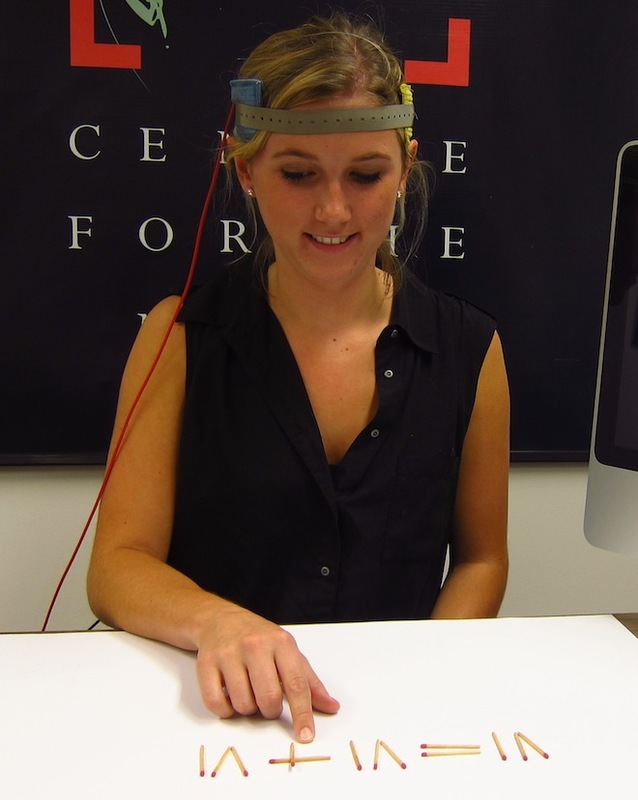 GoFlow is a startup planning to offer TDCS kits for as little as $99. Today if you want to buy a tDCS machine it’s nearly impossible to find one for less than $600, and you are typically required to have a prescription to order one. We wanted a simpler cheaper option. So we made one. GoFlow claims that their product can help speed up learning — an effect that’s already been demonstrated by the Air Force and in the lab. When done correctly by a licensed physician, TDCS is safe enough that it’s already being used clinically to treat chronic pain. The GoFlow, on the other hand, appears to have been built by undergraduates. Given the (lack of) production values in their promotional video, I’m not all that reassured by the included testimonial from a neuroscience graduate student.